Recently, Boston Scientific Corporation generously donated over $78,000.00 worth of equipment, furniture, and other office items. This donation replaced existing equipment and furniture in our school’s classrooms, conference rooms, cafeterias, main offices, technology labs and teacher’s rooms. Boston Scientific is a Platinum Level Sponsor of the Quincy School Community Partnership, and supports each Path of Partnership Pathway: Financial Support, Student Support, Site Support and Career Connections. Boston Scientific employees also participate in Quincy High School’s Innovative Engineers Program, serve as judges for middle and high school Science Fairs, serve as members of the interviewing team to select the Technical Student of the Year, and the list goes on. Boston Scientific Corporation exemplifies a true Community Business Partner! 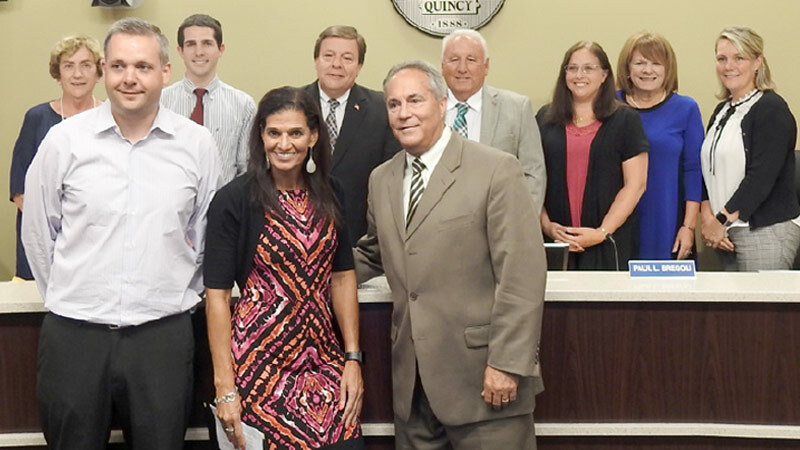 The Quincy School ~ Community Partnership and Quincy Public Schools are grateful for their continued generosity and support!